On a budget? Try a Mini Bundle to start with. 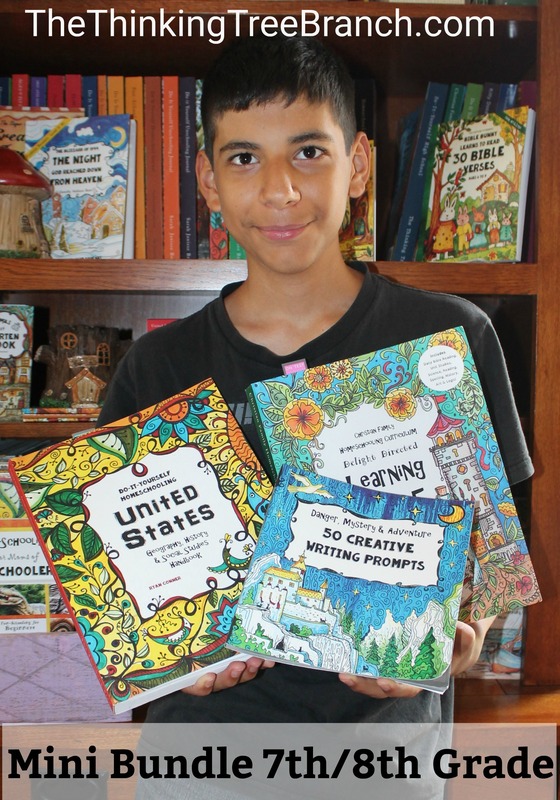 Here my son has a Core Journal – 10-12 pages -use three times a week -for about 4 hours of fun “guided” learning, a creative writing journal (twice a week), and a states journal (twice a week)! Use the Core Journal 3x a week -10 pages a day. Twice a week use the United States Handbook & the Writing Journal. Use the Core Journal 5x a week but only do half the pages -(5 pages) a day. Use the United States Handbook daily and the Writing Journal on the days when there is no Creative Writing page.